No one under the age of 16 should operate this Mini Bike. Always wear a helmet; It could save your Life! Do not remove this operator’s manual from this vehicle. Please obtain, review, and follow provincial / municipal government acts and regulations pertaining to owning and operating an o-road vehicle. Bajaj Electricals is known as supplier that produce the range of devices like fitness & sports. We count 2 rare guidebooks created by this distributer . 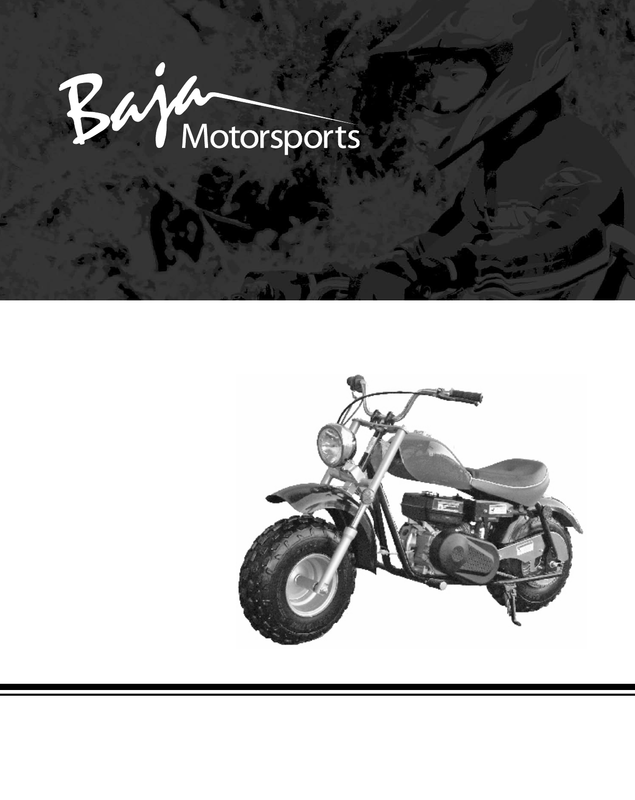 Now you're reading a user guide for Bajaj Electricals Bicycle HT65/MB165.